1978 –1983 Bachelor of Architecture, Sir J.J. College of Architecture, Bombay. 1983 –1985 Associate Architect at T. Khareghat & Associates, Bombay. 1985 –1987 Master of Architecture, University of Houston, Texas, USA. 1987 –1988 Architect at Gensler & Associates, San Francisco, California, USA. 1988 –1999 Associate Architect at Talati & Panthaky Associated Pvt. Ltd., Bombay. 1998 –2000 Training in ceramics at Golden Bridge Pottery, Pondicherry, India, under Ray Meeker and Deborah Smith. 2001 – Partner at Mandala Pottery, Auroville, India. Production and studio potter with Anamika, Chinmayi and Krishnamoorthy. 2007 “Clay Edge 2007”, invitational ceramic show, Cudgegong Gallery, Australia. 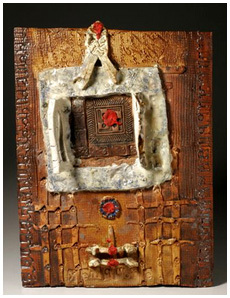 2007 “Devis, Reds & Olives”, a preview of ceramic work bound for Australia, Hall of Light, Auroville. 2006 “Globallery”, Contemporary Indian Art exhibition in cooperation with the OAG, Tokyo. 2006 “Harmony 2006”, Nehru Centre, Bombay (ceramic participation in Reliance Industries all- India art show). 2005 “Stoneware”, Hatworks Boulevard, Bangalore (solo show of ceramics ). 2005 “Maa”, Gallery Square Circle, Auroville (ceramic participation). 2005 “Windmills of Your Mind”, Pitanga, Auroville (solo show of ceramics andphotography). 2005 “Harmony 2005”, World Trade Centre, Bombay (ceramic participation in Reliance Industries all-India art show). 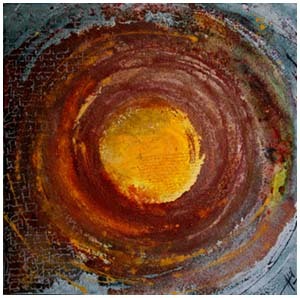 2004 “Mandala”, Gallery 25, New Delhi. (Mandala potters’ group show). 2004 “Peace and Harmony”, India Habitat Centre, New Delhi (Delhi Blue Pottery Trust international biennale). 2004 “Teachers’ Show”, Gallery Square Circle, Auroville (ceramic participation). 2004 “Exploration of the Future”, Bharat Niwas Gallery, Auroville (photography). 2004 “The Teapot Show”, Pitanga, Auroville. 2004 “More T-pots!” Bharat Niwas Gallery, Auroville. 2003 “Creations for Land”, Kala Khoj, Auroville (ceramic participation). 2003 “Potters in Peril”, National Gallery of Modern Art, Bombay (Indo-American ceramic show). 2002 “Paper Folly”, Auroville (handmade paper creations by Auroville artists). 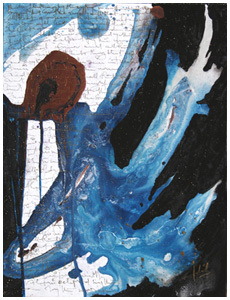 2002 “Water”, India Habitat Centre, New Delhi (Delhi Blue Pottery Trust biennale). 2000 “Studio Pottery 2000”, Cymroza Art Gallery, Bombay (Delhi Blue Pottery Trust).